On his popular science blog, Pharyngula, PZ Myers has entertained millions of fans with his infectious love of evolutionary science and his equally infectious disdain for creationism, biblical literalism, intelligent design theory, and other products of godly illogic. 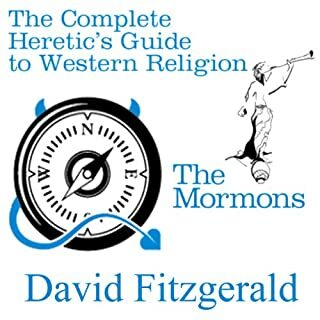 This funny and fearless book collects and expands on some of his most popular writings, giving the religious fanaticism of our times the gleeful disrespect it deserves by skewering the apocalyptic fantasies, magical thinking, hypocrisies, and pseudoscientific theories advanced by religious fundamentalists of all stripes. Religious fundamentalists and biblical literalists present any number of arguments that attempt to disprove evolution. Those with a sympathetic ear often fail to critically examine these creationist claims, leading to an ill-informed public and, perhaps more troubling, ill-advised public policy. As Aron Ra makes clear, however, every single argument deployed by creationists in their attacks on evolution is founded on fundamental scientific, religious, and historical falsehoods - all of them. Among their most popular claims is that evolution is a religion, that there are no transitional species, that there are no beneficial mutations, and that supposedly sacred scripture is the infallible word of God. Yet, as the evidence and data plainly show, each of these claims is demonstrably and unequivocally false. There is simply no truth to creationism whatsoever, and the entire enterprise rests on a foundation of falsehoods. 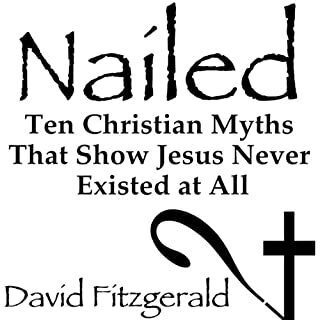 This book explains and exposes the worst of these lies, and should be listened to by all who honestly care about following the evidence no matter where it might lead in pursuit of the truth. Many audio books struggle to give the mental layout provided by a visible text, which can mean listening to the audio book 3 or 4 times to organize the information in an everyday situation or in order to reference the material again at a later date. This book does not suffer from this disconnect at all. The information is arranged in a way that can make quick references for friends or those pesky "soul winners" possible and efficient. The material evolves logically in tandem with not only personal understanding, but also the chronology of human knowledge and how it came to be. On a personal level, I too was raised in a religious home. Intelligent Design was our gospel (often at the expense of the bible itself) and every thinker or scientist in history was part of a massive conspiracy that involved bad angels that resembled alien stories, rogue dinosaurs, Nazis and supernatural zapping of good guy angels or true believers. the earth was flat (or a disc) and the flood was recited as a foundational pillar of faith. Oddly enough, it was the bible and the psychologically abusive tracts that led to my deconversion but texts such as these have both confirmed my childhood doubts and have given me new perspectives (other than the political or humanities disciplines arguments) that I have been using in the past. I highly recommend this book! Very good information for the layman. Especially for those who need scientific simplicity. Aron does a great job explaining the facts and giving them to you in digestible, but fully explanative style. Great book. I highly recommend for those questioning the scientific integrity of the young earth creationists. This book is basically a rant. A very good rant, but a rant nevertheless. I was browsing Audible when I spotted it. I’m interested in the subject of debunking creationism, but I feel I’ve already read the definitive work that has achieved this aim, ‘The Greatest Show on Earth – the Evidence for Evolution’ by Richard Dawkins’ (which I recommend very highly). So I didn’t really need to have explained to me again why creationism isn’t true. I’ve never believed in the literal truth of creationism. It’s a really silly, outdated idea and it isn’t worth wasting time trying to talk religious fanatics out of a belief that they are determined to hang onto in the face of overwhelming opposing evidence. But I thought I’d listen in any case, as the subject is usually quite entertaining – and it was. 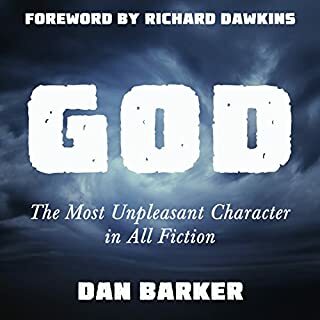 The difference between me and the author-narrator of this audiobook is that I live in a place where no one seems to be a creationist, or if they are, they keep it to themselves and don’t bother me with it. 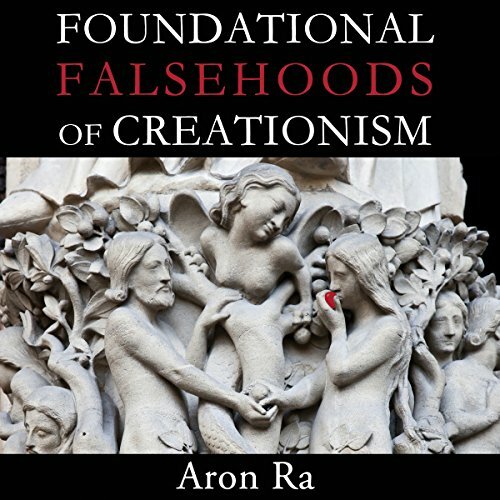 Whereas the author of this book, Aron Ra, lives in a World where creationism is alive and well and is very powerful, trying to make sure that this false belief system can continue to be indoctrinated into young minds in schools even in the 21st century. That’s why it is a rant. Our narrator chooses 15 classic creationist arguments against evolution, and he just rips into them. He does it in a scholarly way, using clear rational explanations with a deep knowledge of the subject matter involved, ranging from scripture to evolutionary biology, but he tells his story with passion and fire. Once he gets into his stride he sounds like a preacher, and the irony of this brought a smile to my face more than once. He doesn’t pull any punches. He doesn’t restrict himself to just discrediting creationism as an idea, he is also fairly direct in his criticism of individual creationists as people. Not the ordinary folk in the street, but the major players who are leading the crusade against evolution, exerting political power in cynical ways to ensure that evolution remains misunderstood and discredited. I can see why Aron felt the need to write this book, which I enjoyed and recommend. Good luck to you Aron and thanks for the entertaining listen. 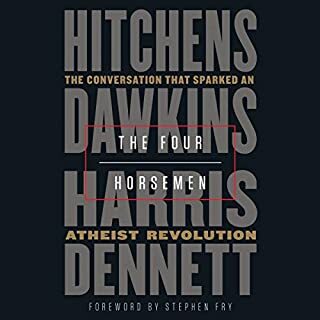 This audio book makes me want to download the E-book, and if I was going to debate on the subject matter I'd want the paper version on hand. Excellent coverage of the subject matter. Well organized argument against most commonl arguments creationism vs evolution. Well presented and organized presentation of the arguments used to argue against evolution, and then presents the counter argument on each point usually given.. Well thought out and entertainingly presented. This won't help with your relatives. Maybe. It depends on the friend. I have some creationist friends. I wouldn’t waste either of our times. They’ll be offended, I’ll lose a friend. What was one of the most memorable moments of Foundational Falsehoods of Creationism? I spent a substantial portion of my life feeling that the Bible presented a horrific picture of humanity, ascribing it to God seemed the strongest possible condemnation of the deity one could imagine. Have you listened to any of Aron Ra’s other performances before? How does this one compare? If you are an agnostic atheist, then you need to keep in mind that the degree of animus felt here is directed at the bad faith exhibited by many creationists. I don’t believe that Aron Ra wishes them ill, but I empathize with the sense of outrage at the willingness to distort, dissemble and denigrate. This is a superb collection of logical fallacies, rhetorical devices and distortions that creationist use against science and reality. If you are looking for a path to reconciliation between the opposing views, turn back now. I believe Aron Ra as been subject to too much intellectual and probably emotional abuse at this point to offer his opponents much emotional quarter. I’d still recommend listening to and reading this book. You are not alone, and you are not insane, evil or possessed. Would you listen to Foundational Falsehoods of Creationism again? Why? This is a book I will go back and listen to again. In addition to the clearly stated reasons for dismissing creationism, this book is a great biology lesson. I learned so many new things. I also enjoyed hearing the author read the book. Well done all around! I coined "fangasmic" to express just HOW fantastic this book is; when I was already recommending it, after only the 1st few chapters. I just finished reading, & it didn't to any degree disappoint throughout. This IS a MUST-read. The book itself was very enjoyable and informative, but the real highlight of it all was the author reading it. His voice is amazing, he sounds like a slightly less twangy Sam Elliot. I could listen to him for hours and hope to see him narrating more books in the future. What did you love best about Foundational Falsehoods of Creationism? Aron, thank you for putting everything that we know and think(I mean, we the people who see thought religion) into words. What a great insight to evolution, and so many false knowledge that comes from religion dogmas and teachings. It is beautiful to know how we came to be. Every word of it, the truth backed with evidence. Full of information, delivered in an engaging form and narrated with love by the author. AronRa does a great job in debunking creationist myths with well researched arguments. Narrating himself all his passion for the subject comes through. A great read too, I have the text version too. This book was a fascinating listen . Superbly written and narrated by the author . I would urge anyone who remotely believes in the drivel spouted by creationists like Kent Hovind to listen to Arons counter argument . It’ll change your views and put you off cheap Hawaiian shirts for life . I don't think you will find any other book that delves deeper into the dishonesty of creationism! This is an excellent read. It is not an insulting diatribe against all religion. It is simply a counter argument against some of the more anti science beliefs of the more extreme creationist groups. It is written seriously and intelligently but also reasonably and kindly. 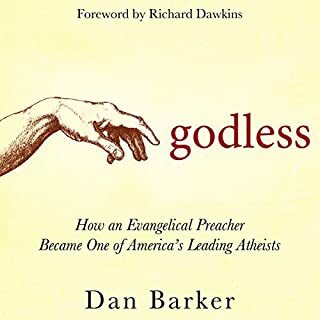 There are no attempts to insult the mainstream religious but simply to inform the listener as engagingly as possible by an author and narrator who are invested in their subject. Even if you are extremely religious I recommend listening to it. It may surprise you. Aron Ra disassembles the creation belief with science in such a way that helps you understand how inacurate the bible really is. 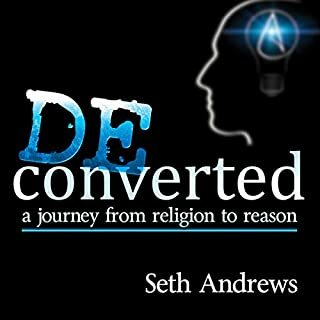 Conversational with a touch of humor, this book is a must read/ listen for anyone that is doubting thier faith or just wants to learn what the falsehoods of creation are. Dismantles arguments of religious fundamentalists against evolution from a common ancestor. Bible literalists have taken their interpretation of Genesis to absurd levels and have no understanding of earlier myths that gave rise to this folk tale. Aron Ra explains the falsehoods of creationism clearly and thoroughly, providing ammunition for those who would like to arm themselves against zealots.